HashMap stores key value pair.When you create a HashMap , it creates Entry class Array( table  ) of 16 elements. Note: We will have more of practical approach. 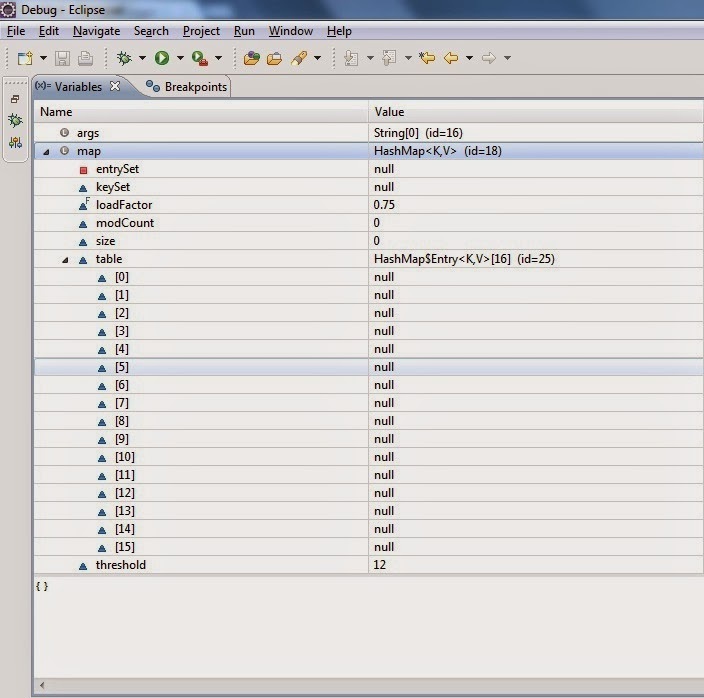 It creates a table array(Entry table) and each array element is known as bucket. So the default numbers of bucket is 16 table to table. When you insert null as key it will be inserted at index 0 that is table. 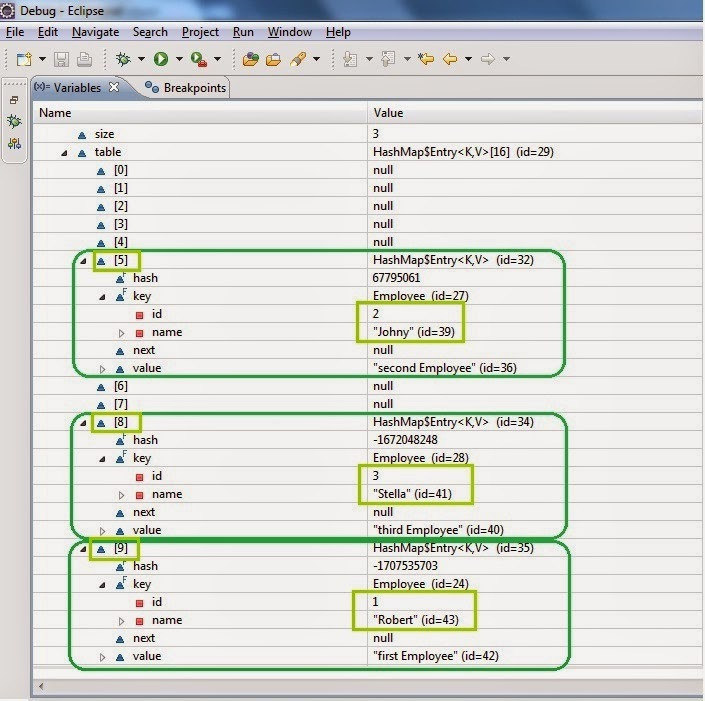 Now we will insert the Employee class object in HashMap as Key and String as value. When you add in HashMap Bucket , entry element is added in bucket. Entry is a singly linked list element. So we can say HashMap is Array of Singly linked list.HashMap is not ordered. From the above it is clear that the output is not in the sequence in which they were added in HashMap.So let us try to understand on what basis does HashMap inserts data.Bucket number(table[?]) is decided on the basis of key and we are inserting Employee object as Key.To find the bucket number it uses hashcode of the object and performs hash function and indexfor function. Hashcode of an object is calculated on the basis of the overriden hashcode function in Employee class. When you do &(bitwise operator) operation of values 1 , 17 , 33 and 65 with 15(16-1 which is index-1) the lower four bits are only considered and hashcode1 , hashcode2 , hashcode3 , hashcode4 does not differ in lower bits and thus have 1 as the bucket number. When we apply hash function of these four hashcode it chages their value. The hash function is having right shift operator where it adds one more 1 at lower bits in our example and change the value.The benefit of hash function is to reduce the collisions by changing the values of hashcode using shift operator where it tries to perform 20 , 12 , 7 and 4 right shifts.